April is National Poetry Month! Try one of these 5 non-traditional ways to incorporate poetry into your instruction. Share your poetry ideas with us on social media. Follow us on Twitter and like us on Facebook! 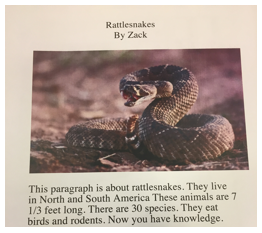 Lesson Idea: Have students choose a science or social studies text as a basis for a found poem. Give students each a copy of a text and have them highlight important words/phrases and then craft a poem. Lesson Idea: Instruct students to write an autobiographical poem. Have them put it in an envelope and address it to themselves. Put a reminder in your calendar and mail the poems to the students one year from now so that they can see how they’ve changed. Lesson Idea: Have students read and write cinquains to practice identifying parts of speech. Lesson Idea: Use limericks to teach academic language such as rhyme scheme, line, triplet, couplet, meter, syllabification, hyperbole, onomatopoeia, etc. Lesson Idea: Students can create poems in the shape of an object. This works great in all content areas. Students will need to revise and edit to get everything just right. WriteSteps provides test prep all year long! 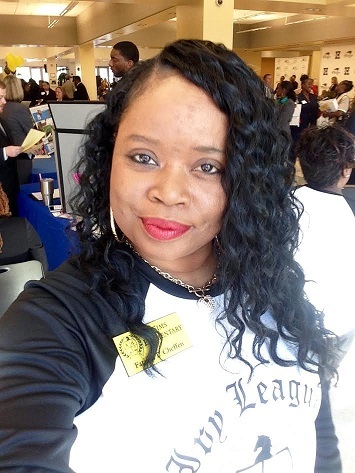 Mrs. Fatima P. Cheffen, a 5th grade language arts and writing teacher at DL Sims Elementary School in Georgia, is new to WriteSteps this year. Read on to see how she feels about implementing a new writing program. Fatima: My favorite feature is the Captivators videos! Fatima: The advice I would give is to have an “open” mind when using the WriteSteps program—there are SO many positive reasons to use this program, and they all help our students to become better writers! Fatima: My scholars are excited to use WriteSteps! This program differs because it focuses on all types of learners and writers. WriteSteps: What have you learned about teaching writing since using WriteSteps? Fatima: I have learned that learning “how” to write is a process, which can be an extremely difficult process for a child. Therefore using a program that aids in the growth and development of writing boosts my confidence and self-esteem as a writer and as an educator. Fatima: The most important advice that I have for teaching writing is to make sure that teachers listen to their students. It is imperative that we teach them the power of voice when writing and how to effectively use their voices beyond writing in the classroom. WriteSteps sponsored its second teacher webinar entitled Next Steps to Blending Your Writer’s Workshop. If you missed it or would like to watch it again, click here for the replay. Our blended learning enthusiast, Joanna Van Raden, will be presenting at the following conferences. Sign up for her sessions if you want to learn more about blending your Writer’s Workshop.